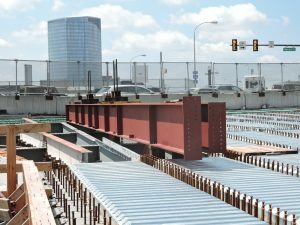 Fall 2018- The new concrete deck is expected to be in place by late fall for the east side of the Schuylkill Avenue viaduct over Interstate 76 that is under repair between Walnut and Chestnut streets near 30th Street Station, allowing the contractor to shift construction activities and begin repairs to the opposite side of the structure over the coming winter. Crews will continue cleaning, repairing and repainting the steel superstructure on that half of the viaduct and placing the remaining deck concrete in sections through late 2018 before making the switch to the opposite side. Similar repairs are underway on the west side of the viaduct between Market and Chestnut. 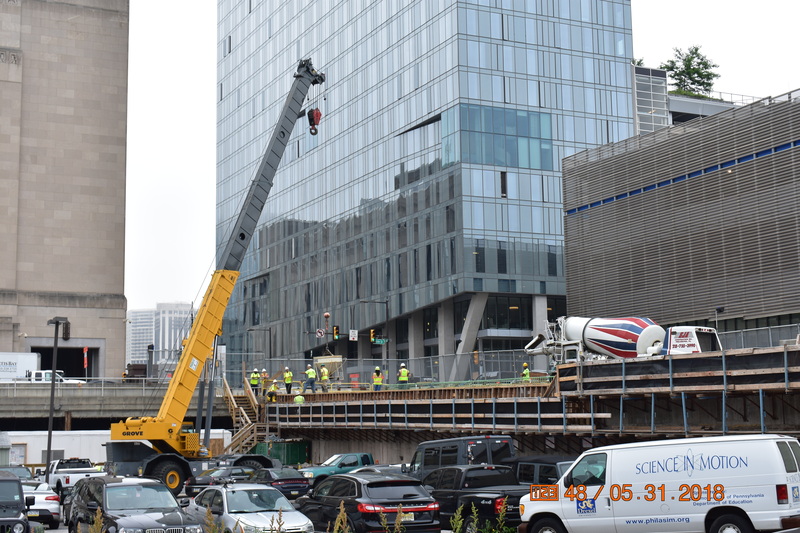 Concrete deck placement has begun for that section of the structure and will continue as conditions permit into the winter before work shifts to the opposite side next spring. 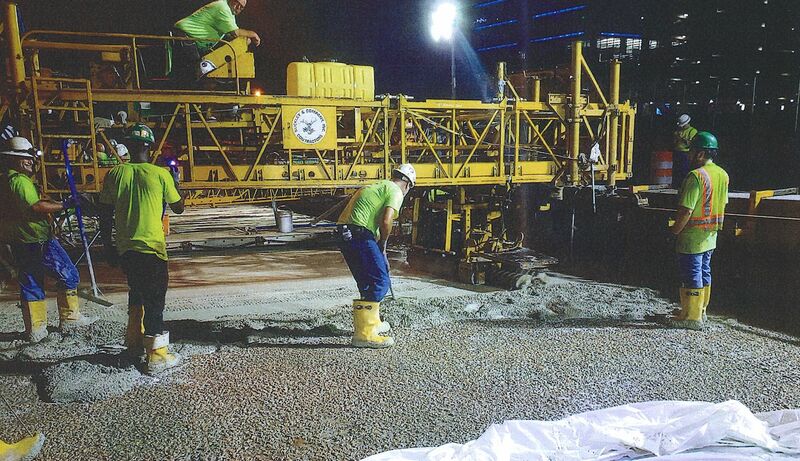 Nighttime lane closures will continue to be in place on I-76 during some of the viaduct repairs. 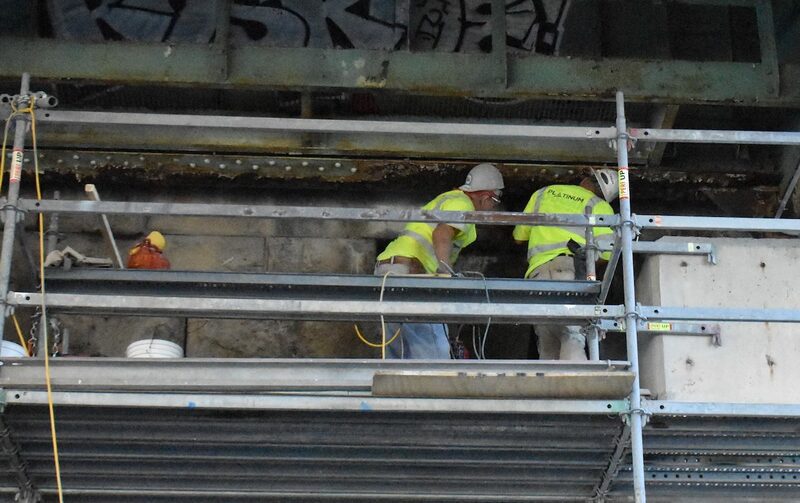 As rehabilitation of two Schuylkill Avenue viaducts continues, crews are working at other locations on both sides of the Schuylkill River to repair other Chestnut Street structures. 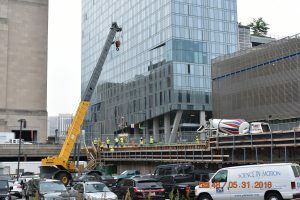 A number of activities are underway on the viaduct that carries Chestnut Street over rail lines between 31st and 30th streets, where a new retaining wall has been built along the north side of the roadway. On the east side of the river, the Chestnut Street stone arch bridge over 24th Street remain under construction. With temporary arch supports in place on the underside of the structure, crews are repairing the arch “barrels” using flowable fill material that will strengthen and add extensive life to the century-old bridge. Similar repairs to the stone arch structure over the CSX railroad west of 24th Street are expected to get underway this fall as well. As the arch bridges are repaired, PennDOT is installing new stormwater piping, inlets and manholes on the south side of Chestnut Street between 24th and 23rd streets. The south sidewalk will be replaced at the completion of repairs to the structures on that side of Chestnut Street. 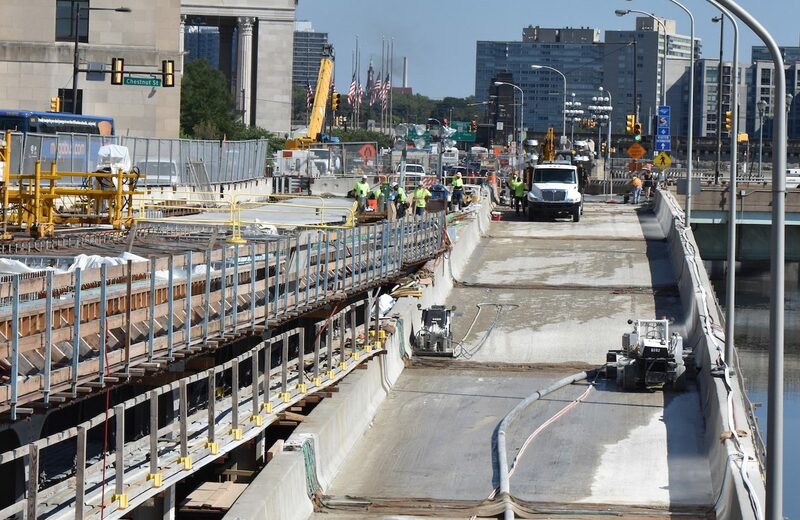 Work is also underway to repair and strengthen the “river wall” which helps support I-76 where it abuts the west side of the Schuylkill River beneath Schuylkill Avenue. Repairs to the ramp from westbound I-76 to 30th Street have been substantially completed following a month-long closing of the ramp in mid-August. Repairs are continuing on the ramp to eastbound I-76 from Walnut Street, which remains open to traffic while crews replace the ramp structure’s expansion dams and repair the deck a half-at-a-time. The ramp will be closed for several weeks next spring when it is further rehabilitated with a latex concrete overlay similar to the one used on the westbound I-76 ramp. 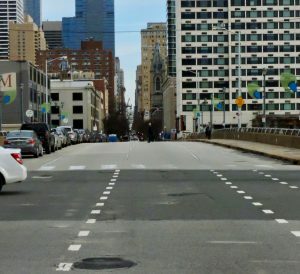 Repairs to the Schuylkill River Trail will close a section of the trail at Chestnut Street this winter. 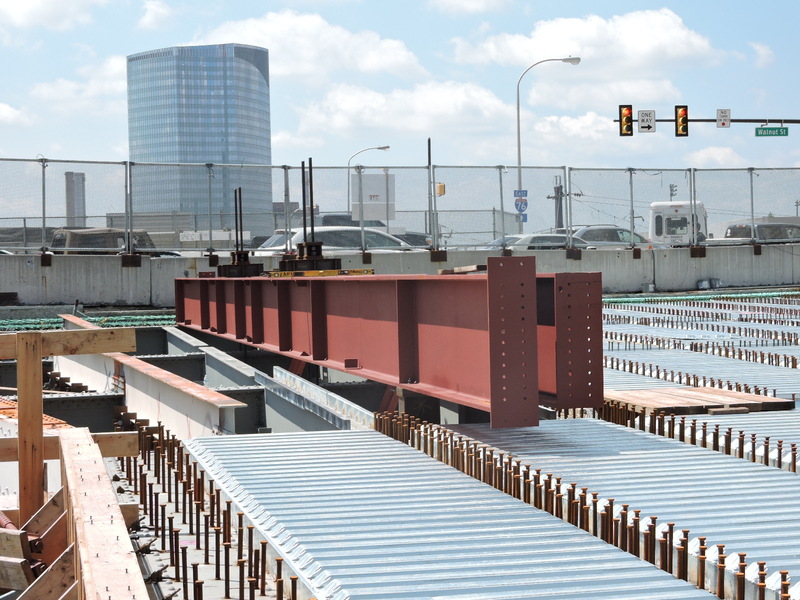 The main Chestnut Street bridge over the Schuylkill River is scheduled to close for approximately one year beginning in mid-2019 for rehabilitation. Additional Stage 1B work will continue through late-2018.